Christina Smith’s small business, Closet Candy Boutique, has more than 711,000 Facebook likes. That’s a lot for a Westfield-based women’s clothing store — but it’s not unheard of. 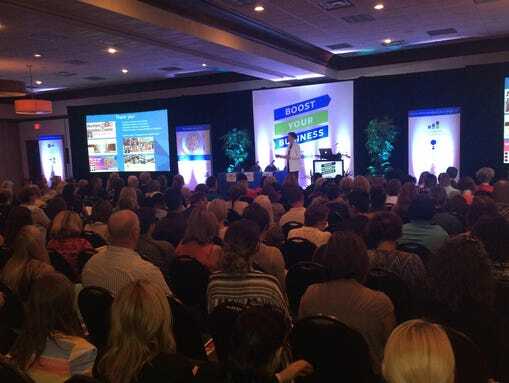 In an effort to encourage small businesses to use social media to engage with consumers, Facebook hosted a “Boost Your Business” event in Carmel last week. Representatives from about 250 local companies attended the event, where Facebook analytics experts and a panel of local business owners gave tips about advertising and marketing on the social media site. Smith, who sat on the panel, said her company uses visual aids to its advantage by posting photos of models wearing clothing from the boutique. With analytics available from Facebook and a little trial and error, Smith said she has been able to grow her customer base. Smith said the boutique also engages with followers through its posts. When the boutique is considering making purchasing decisions, they ask followers through Facebook what they should buy. The boutique also posts news about giveaway events and includes videos on hair and makeup tutorials to enable customers to copy its style. Nathan Day of the Used Livestock Equipment Co., a Westfield equipment service and supply store, has almost 26,000 Facebook likes. Day said just because his business has a small niche, it doesn’t mean he has to rely strictly on local business. By using social media, Day said he’s able to reach specific audiences with his advertising and do it inexpensively. He said Facebook also has allowed him to be efficient in marketing his products. Like Smith, Day said he tries to use his posts to engage with customers. Ahead of auctions, the company will “boost” a Facebook post to alert potential customers of the upcoming sale. Day said it’s just another inexpensive way to target clientele. Your page is your best online presence: Facebook allows businesses to make marketing personal. Engage with customers by posting business hours, sales, giveaways and upcoming events. Create content that adds value: The Facebook news feed shows the most relevant and interesting content to individuals. Use it to listen and respond to customers, or feature your own stories about happenings at your business. Know your audience: Facebook tools like Page, Audience and Ad Insights allow users to understand what kind of posts are performing best and at what time of day. Use them to find the best way to reach your audience. Find the right people: Clean out the clutter and target the people who care about and want to invest in your business. Facebook has targeting capabilities through the use of tools such as Custom Audiences and Lookalike Audiences to reach people who may never have heard of your business. Segment your audiences: Tailor your social media efforts to your audiences and create posts that fit their specific needs, based on their interests, behaviors and demographics. Measure your results: Find out what works and what doesn’t and why. Track your progress and continue to grow your business.